What types of Massage are available in Brisbane? At Mobilise Remedial Massage, we offer three main types of massage. Ranging from our expert level, Myotherapy, through to Remedial and Sports Massage, Mobilise can help you! With so much sunshine and good weather, Brisbane has the perfect climate to be active almost every day. However, staying active can require some self-care as well – and that is where we come in! 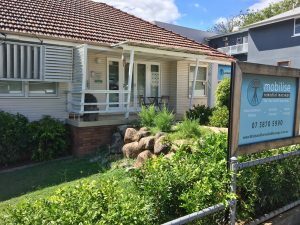 Located in the inner west of Brisbane, Mobilise has a great team of experienced and highly qualified therapists, from our bachelor degree qualified Myotherapists to our diploma qualified Remedial Massage Therapists. All of our therapists are covered for Health Insurance, and you can claim your treatment on the spot at the clinic. Are you in any pain? This is the first question we ask our new patients when they enquire about our services. If the answer is yes, then Myotherapy is the way to go. Our degree qualified therapists are trained to identify the causes of your musculoskeletal pain. Yes, there may be more than one cause that has contributed to why you need treatment – and we’ll ask some important questions about your medical history, your general lifestyle, your ergonomics at work and your recreational activities, to help us work out what those causes are. Then the Myotherapist will do some detailed orthopaedic and postural assessment, to help them formulate a working diagnosis, they’ll discuss it all with you, and together you will develop a plan to get you better! From there, the treatment will begin. 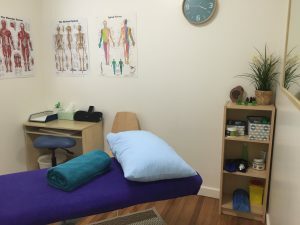 Myotherapists are well trained in massage techniques, as well as lots of other advanced bodywork treatments like joint mobilisation, myofascial release, PNF stretching, supportive taping and dry needling. Any or all of these options may be used during your treatment, in consultation with you. Nearing the end of the session, your Myo will discuss the beginnings of your rehabilitation plan, and whether or not follow up treatments will be required. We’ll make sure you’re supported throughout the treatment process with lots of good information on how to keep yourself out of pain in the future. Do you need to loosen up? Or are you looking for a deep tissue massage for general health reasons or don’t feel you need the expertise of a Myotherapist? Then Remedial Massage at Mobilise is for you. Our diploma qualified therapists are ready to massage all the tight and achy areas and help you feel freer and more flexible! If you’re not in any pain, but still want a high quality, tailored-to-your needs massage, we recommend you book a Remedial Massage. Your therapist will still talk to you about any medical issues, and do a general range of motion and postural assessment, so that they can check out any muscle or posture issues you may have. They will ask you which areas you would like addressed, and then get to work! All our Remedial Therapists are well trained and experienced and can help you get back to your best. They may also do some general stretching, and show you a few good stretches to do at home to help with the treatment. Here you have a choice! You can either book in to see a Myotherapist for a really comprehensive treatment – focusing on your particular sport and it’s specific techniques and likely issues, as well as addressing sports injuries and rehab; or you can book into see a Remedial Therapist to get a really good rub down before your big event, or as a recovery treat for yourself. Here at Mobilise, we can offer many options in massage therapy. And because we’re located in Toowong (close to bus and train lines, as well as really great parking! ), no matter where in Brisbane you are, we can help you! So why don’t you BOOK ONLINE today, and try one of our different massage choices for yourself!